Have you heard the news? 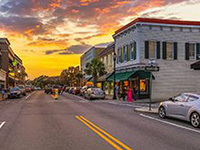 Southern Living Magazine recognized Beaufort one of the “The South’s Prettiest Towns 2018” and PureWow has again named us the “Cutest Town in every U.S. State.” With its historic downtown district and unique Lowcountry feel, Beaufort is the epitome of Southern charm. The history of Beaufort is a mosaic of many people who have labored, loved and lived together over the centuries to create today’s colorful tableau. It is a coastal city blessed with wonderful Bed & Breakfasts and excellent restaurants. The city and the surrounding sea islands also have a rich African-American heritage. Come and learn about the Gullah culture or the Penn Center, the first school built for former slaves. 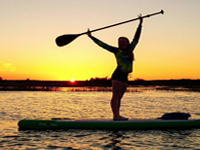 Known for its outstanding golf courses, beaches, and outdoor adventures, Beaufort has a variety of activities and events to partake in and enjoy. 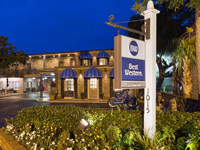 Enjoy fine restaurants, quaint boutiques and galleries, history, fishing, beaches and more from our spacious guest rooms, porches, private gardens, intimate courtyards and delightful fountains that are The Beaufort Inn. Located in the heart of Beaufort’s landmark Historic District, The Beaufort Inn’s historic architecture, curved balconies, verandas and gardens capture the essence of a gracious southern coastal town. Let our Beaufort hotel exceed your expectations. 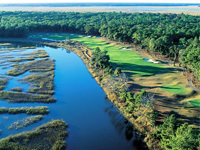 East of the historic waterfront town of Beaufort, South Carolina in the heart of the sea islands, the private residential community of Dataw Island offers golf course, marsh front and water front homes, all in the casual lifestyle and abundant natural beauty found in the Lowcountry of South Carolina. Discover the magic of a Beaufort rental home, villa or condo and enjoy the ultimate in privacy and convenience. Beaufort restaurants have earned a distinct reputation as some of the best dining options in the South. 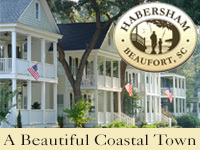 Beautiful Beaufort hotels, inns and motels offer the ideal family vacation or the perfect romantic getaway.